Tablets are perfect for on-the-go computing, thanks to their light weight and touch-based input hardware. In fact, modern day tablets are 2-in-1 devices that can transform into laptops with accessories like detachable keyboards. Today, most tablets come with stylus support and can be used for taking notes and other similar tasks. Students can use tablets to jot down notes during their classes, businesses can equip their employees with tablets to speed up overall workflow and enhance project collaboration; the possibilities are endless. Choosing the right tablet for your note-taking needs isn’t exactly easy, given the wide array of choices available in the market. To help you out, we’ve rounded up the best note-taking tablets. Read all about the features that they offer, and then decide which one(s) you like the most. Ever since it was launched in 2013, Microsoft’s Surface Pro lineup has completely redefined tablet computing. Now in its fifth generation, the Surface Pro isn’t just the best note-taking tablet, but also a powerful 2-in-1 hybrid. Powered by a seventh generation Intel Core i7 and 8GB of RAM, the Surface Pro comes with 256GB of on-board storage. It has a 12.3-inch PixelSense display with a resolution of 2736 x 1824 pixels and 10-point multitouch support. The new Surface Pen (sold separately) complements the high-resolution screen perfectly, allowing you to take notes, draw and do a lot more. The stylus feels as natural as pen on paper, having precision ink on one end and an eraser on the other. It has 4,096 pressure points for enhanced sensitivity. 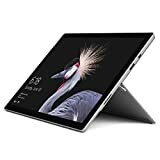 Microsoft Surface Pro has all major connectivity options, including USB 3.0, microSDXC, 3.5mm audio and Mini Display. There’s Wi-Fi 802.11a/b/n/ac and Bluetooth 4.1 as well. Having a 5MP front-facing shooter and an 8MP rear camera, Surface Pro also features dual microphones and 1.6W stereo speakers. Microsoft Surface Pro runs Windows 10 Pro and has a battery life of up to 13.5 hours (video playback). If you have to jot down a lot of notes on a routine basis, you need a tablet that can go for long hours without needing to be plugged in. And that’s exactly what HP’s Envy x2 is. The Envy x2 can go for an astounding 22 hours (video playback) on a single charge. Not just that, it has a connected standby time of more than 40 days. The reason behind the tablet’s endurance is the SoC. Being an “always connected” PC, Envy x2 is powered by Qualcomm Snapdragon 835 (ARM architecture) chipset, as opposed to an Intel (x86 architecture) processor. There’s also 4GB of RAM and 128GB of universal flash storage. HP Envy x2 features a 12.3-inch multitouch display, protected with a layer of Gorilla Glass and has a resolution of 1920 x 1280 pixels. The included HP Digital Pen takes care of all your note-taking needs and has Windows Ink support. Thanks to 4G LTE, the x2 allows you to always stay connected. Other connectivity options include USB Type-C, microSD and 3.5mm audio. There’s a 13MP rear camera, as well as a 5MP front-facing snapper. Dual speakers tuned by Bang & Olufsen are also included in the mix. HP Envy x2 runs Windows 10 S out of the box but can be upgraded to Windows 10 Pro. Having the right blend of stunning style and powerful performance, Microsoft’s second-generation Surface Book is without a doubt, one of the best laptops money can buy. The fact that it also happens to be a premium note-taking tablet, only makes things better. Delivering processing power to the Surface Book 2 is Intel’s eighth generation Core i7 processor, paired with 16GB of RAM. There’s also 1TB of storage and a dedicated Nvidia GeForce GTX 1060 GPU that can easily handle even the most demanding of games and apps. 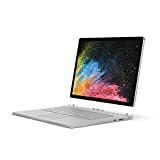 Gracing the facade of the Surface Book 2 is a 15-inch PixelSense display, with a resolution of 3240 x 2160 pixels and 10-point multitouch support. The 3:2 aspect ratio of the screen makes it ideal for productivity tasks, while the 1600:1 contrast ratio enables great looking visuals. The device fully supports Surface Pen, which lets you take notes and draw sans any efforts. With full inking support, you can draw in Paint 3D. Apart from Wi-Fi 802.11a/b/g/n/ac, Bluetooth 4.1 and Xbox Wireless, Microsoft Surface Book 2 has all the connectivity ports you could ask for, including USB Type-C and Surface Connect. There’s also a whole gamut of sensors onboard, ranging from gyroscope to accelerometer. Running Windows 10 Pro, Microsoft Surface Book 2 has a claimed battery life of up to 17 hours.